Art, fashion, humanitarian events and discovering the unusual in life. I had the wonderful opportunity to participate as an visual artist with my fellow friend, Enaj of Gigi Trufflles shop , for a benefit event at Whole Family Wellness raising funds for Shakti Rising, Friday June 25th. Jalene Salus, HHC, LMFT organized the event with Jaime Boyd, LAc, MSTON the owner of Whole Family Wellness. What a wonderful event that raised funds for Shakti Rising. 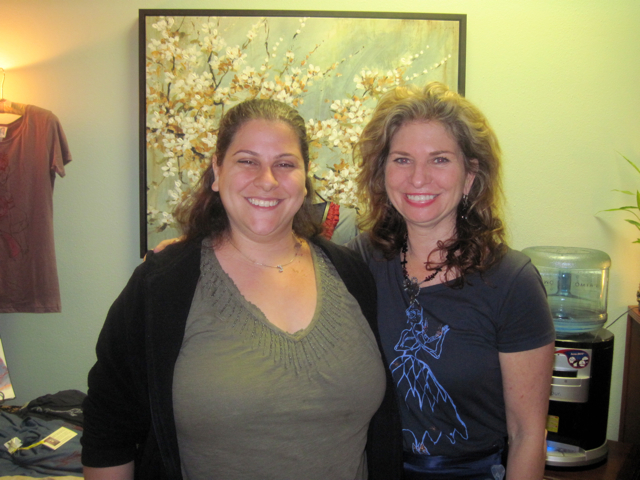 I am wearing one my Masquerade organic t-shirt’s , pregnant and happy Jalene in blue and Julie Korn, Massage therapist in green and black. Beautiful women and event that needs to be done yearly! Royal Couple on the Therapy couch. Link to Etsy in bio.